For this latest collection by Paul Smith, the British designer has decided to place the spotlight on his signature Concertina bag. From spacious totes to compact cross-body bags and mid-sized velvet pochette bags paired with a chain strap, this artsy bag range exudes effortless style and grace. 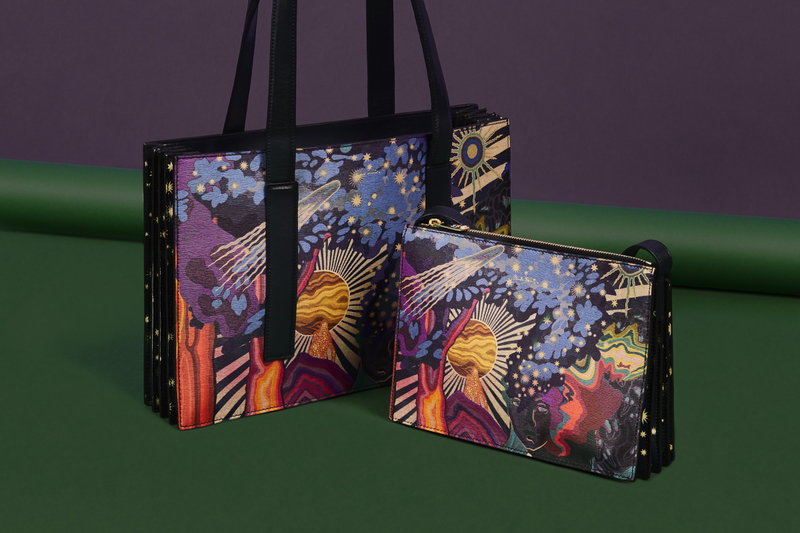 Inspired by a mesmerizing traditional tango performance that Smith experienced during a memorable trip to Argentina, the new Concertina range features a psychedelic print which is based on the exquisite drawings found in the 1912 book titled ‘The Dreamer of Dreams’ that was done by French-born illustrator Edmund Dulac. Magical and optimistic, the deep, rich jewel tones of the print comes in two colour options and can be found throughout the collection in every product category ranging from sublime scarves to classic loafers and slim ties. Also worth keeping an eye out for in the AW18 collection is the Midnight Star print, a repeat motif graphic affixed with a constellation of gleaming stars. Presented on a midnight black palette, the Midnight Star print adds just the right amount of whimsy to these small leather offerings that include a cross body bag, coin pouches and playful tassel charms. Stargazers can further showcase their love for the heavens above by donning the collection’s formal blazers, casual blouses and spunky cropped bomber jackets.